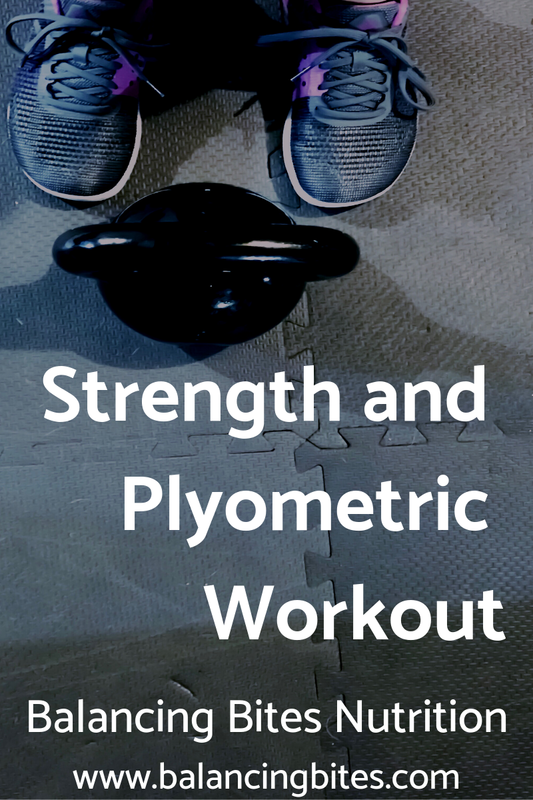 I love combining weight lifting with plyometric workouts. There is something about lifting heavy weights combined with an explosive move. It makes me feel strong and athletic. Today’s workout gave me all of those feelings. Plus, a few moments of wanting desperately to lie down. I used dumbbells for this workout, but you could use a barbell, sandbag, or kettlebells. This workout is 20 minutes for 5 rounds. You’ll perform the workout every minute on the minute (EMOTM). Each superset starts at the top of the minute. After you complete the superset, you’ll rest until the next minute starts, then begin the second superset at the top of the next minute. Continue in this manner until your 20 minutes is up and you’ve completed 5 rounds. Don’t forget to maintain proper form and record your workout. Let me know what you think of the workout.